Are you planning on launching your own blog sometime soon? so this deal is specially for you. 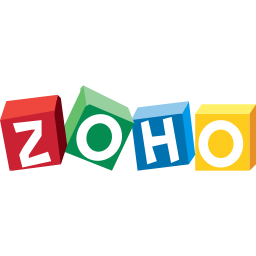 zoho is one of the leading website which provide hosting and domains. now they offer domain and hosting For Free(No extra charge) for 1 year. This special offer valid only for Indian users not just you get free domain you can also make a website absolutely free of cost. And you can also make own business email address as per your wish for business purpose. 1. Firstly open Zoho site From Here. 2. Now enter the desired name for your domain which you want to buy. 3. Now check availability of the name which you entered. 4. If your domain available on zoho site then it will display continue option and if not then try for another name. 5. After choosing your domain name click on continue and register with your gmail account. 6. On the next screen fill the form with required details. 7. That's it your free domain and hosting Service is active for 1 year. Your free domain claim is subject to availability during our verification period, which is two working days. In this offering, we approve the domains for business purposes. The discretion to approve your domain lies completely with us. For every free domain claimed, the offer is valid till the first renewal. We can't enable private registrations for co.in / .in domains, under this offer. The access to the domain manager stays locked for one year, from the day you have claimed your domain. I truly appreciate basically perusing the greater part of your weblogs. Essentially needed to educate you that you have individuals like me who value your work.